Running above Val Verzasca on the trail to Monte Zucchero, we had no idea what to expect. What we found was golden. It’s not all about the iconic places, not always. Not usually. What’s the quickest way away from pavement? I looked around and pointed my feet towards the forest, starting with no destination other than off the road. I like days like this. No plan. Looking for shade, I chose whichever fork in the trail suited the moment, especially when that fork had wild berries. I walked when I wanted, shrugged my way through a few fallen trees, and stubbed my way down a not-so-quality descent. I whacked through a Swiss jungle, watched storm clouds build, hoping they might break the heat, doubled back when I wandered off trail, and found myself reaching a bump with a big, big view. I had no underlying goal for distance, elevation, pace. Today was to move how I want and wherever I wandered. Sometimes this freedom takes us to magical places. Other times, we end up dodging cow droppings on the wrong side of a ridge in the pouring rain with scuffed knees maybe using sticks as a piolets to pull up a muddy slope and completely worn out. And most likely using the phone as a flashlight to shamble back home long after dark. We’ve all been there. Sometimes it’s great to explore. Other days, you really want to run, and you want to run quality trails with amazing views. That’s when you want to pull Run the Alps Switzerland off the shelf. We learned a lot during recon missions for the book. 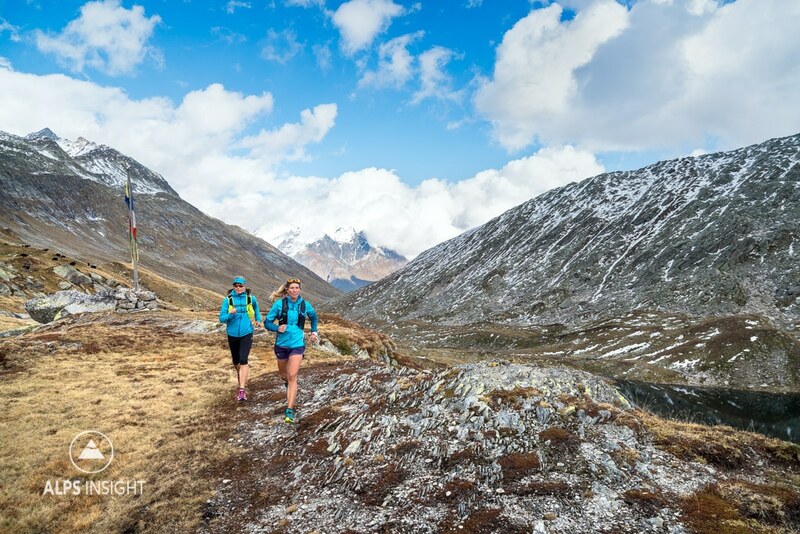 Headed to Zermatt or Zinal, where there’s no doubt the trails will be good. Not just good, but probably awesome. Making a guidebook to trail running in Switzerland, these icons are of course included. They’re well-known for running for a simple reason. The trails are, without fail, spectacular. Other places were a bit more of a gamble. We studied maps, packed up our packs and went to explore. Sometimes this gave us bruises and bramble snags. Other times we were rewarded with a run like Simplon, Ritom, or Monte Zucchero. Unexpected treats. The loop from Simplon Pass passes through a variety of views, all on trail that makes you want to keep cruising. What makes these lesser known trails and locations so good? Is it the sense of discovery? The lack of expectation? The broader experience of the day? Was it simply that specific time in the place? The certain feel of the air cooling as summer ended? The friends we ran with? It’s in exploring these less traveled trails we often find those rare moments of wonder. But then again, wonder can meet us on any trail, on any day, icon or not, if we know how (more than where) to look. Pick a trail from the book from an area you don’t know much about and haven’t been. Go run it. Let us know if you don’t have a new favorite on your list of best-trail-days-ever. 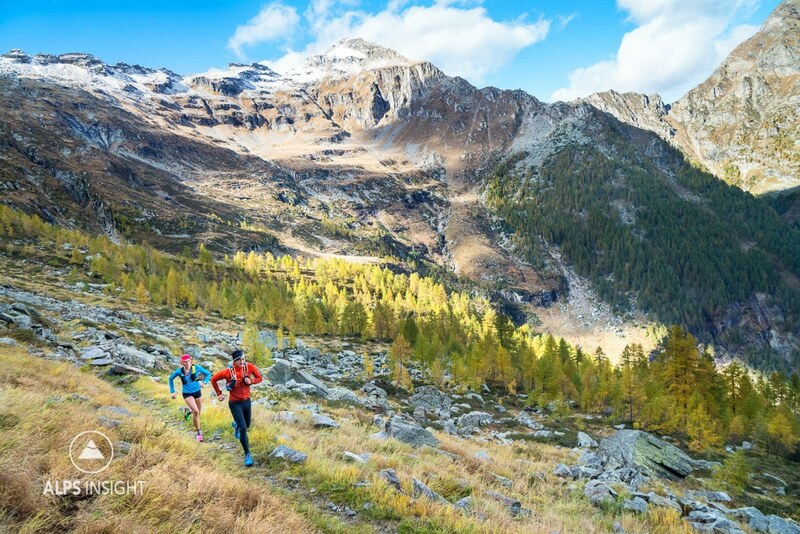 Running near Ritom Lake, we found ourselves again surprised by Ticino’s wild trails, especially in the fall. Want to know where to run? 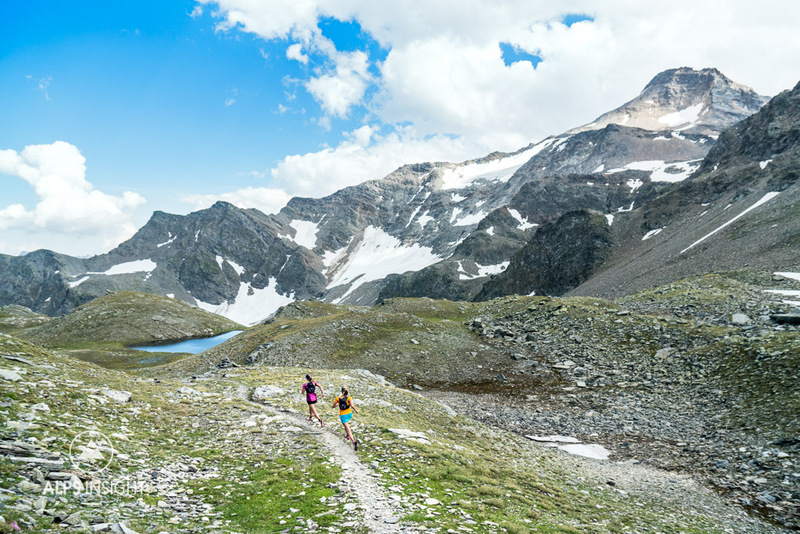 Elevation : The Alps Trail & Peak Running Resource is our growing trail hub within ALPSinsight where you can explore the Run the Alps Switzerland book runs and our Way Up project. We hope both resources help to plan your next runs and inspire your exploring. Dan’s story from another day’s exploration: Creating your own Alps Classic.